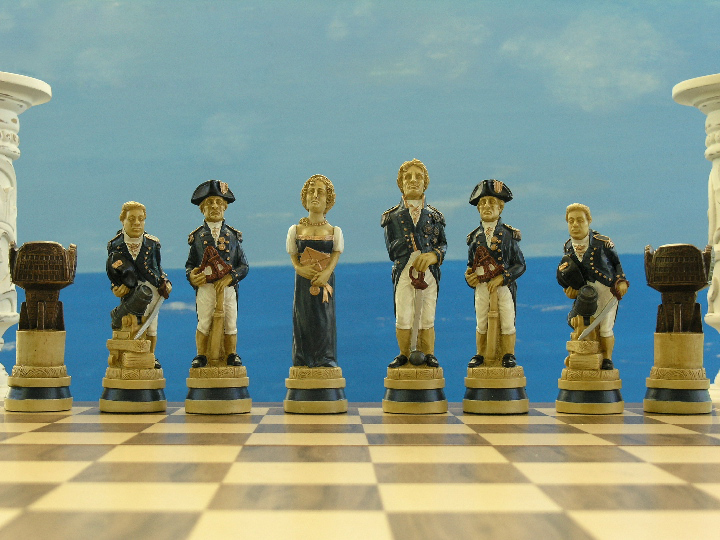 This product from Chess Baron: Hand decorated version of the Trafalgar event. 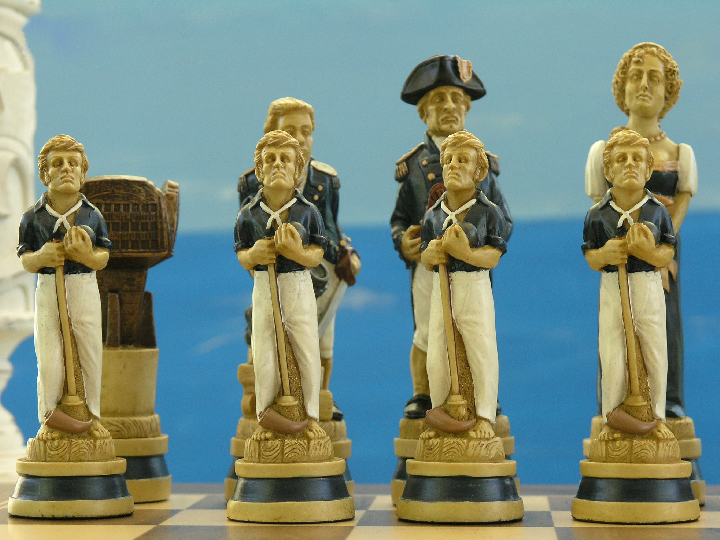 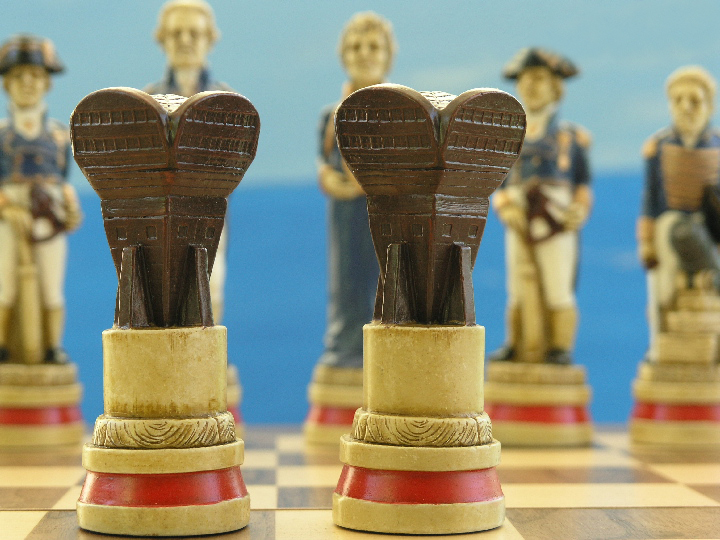 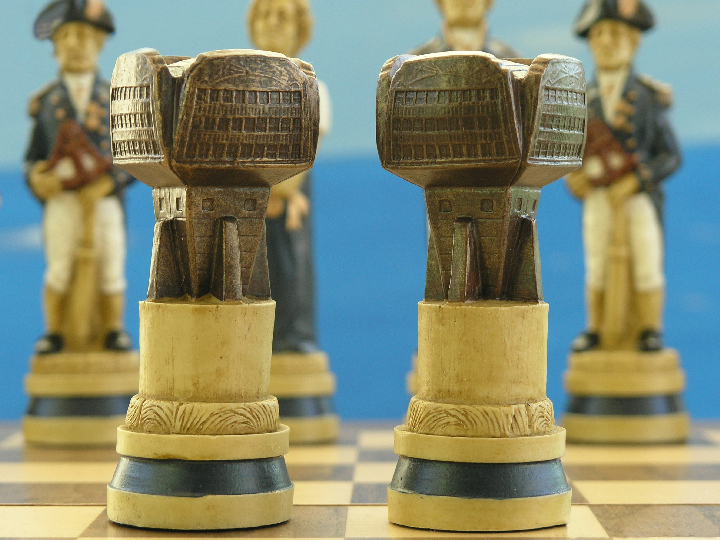 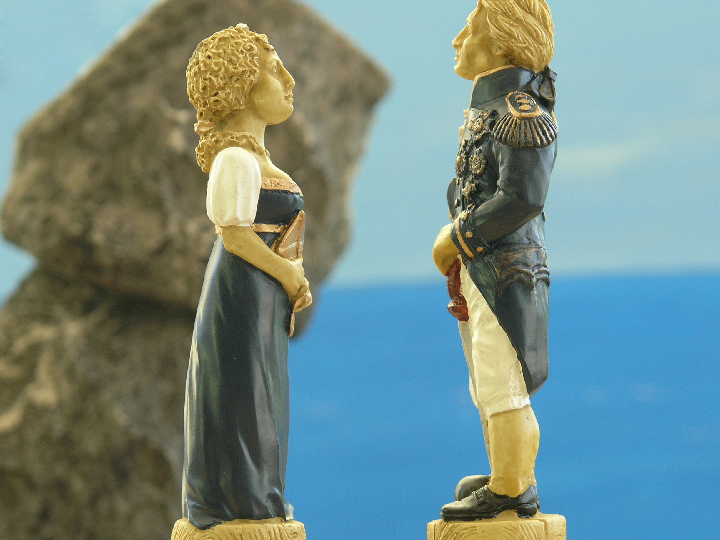 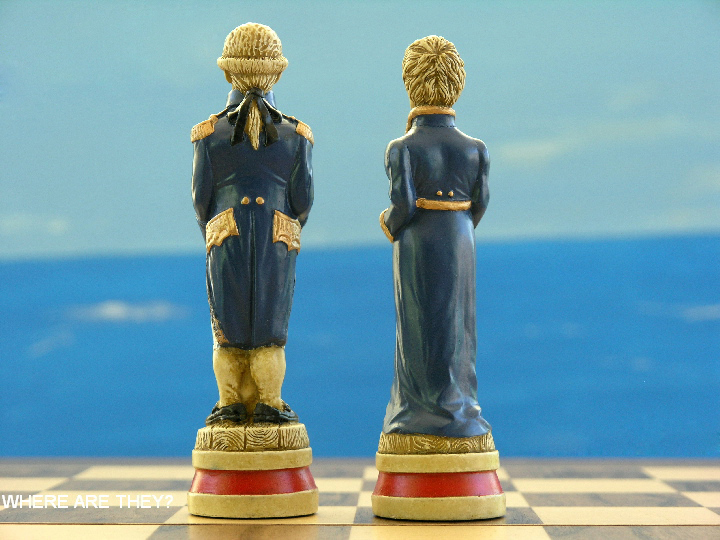 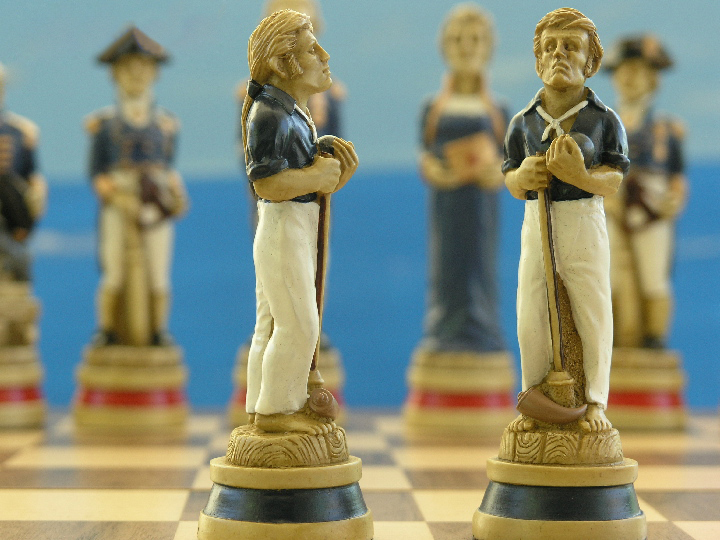 Very fitting as a theme for a chess set, Trafalgar was one of the most decisive naval battles ever fought. 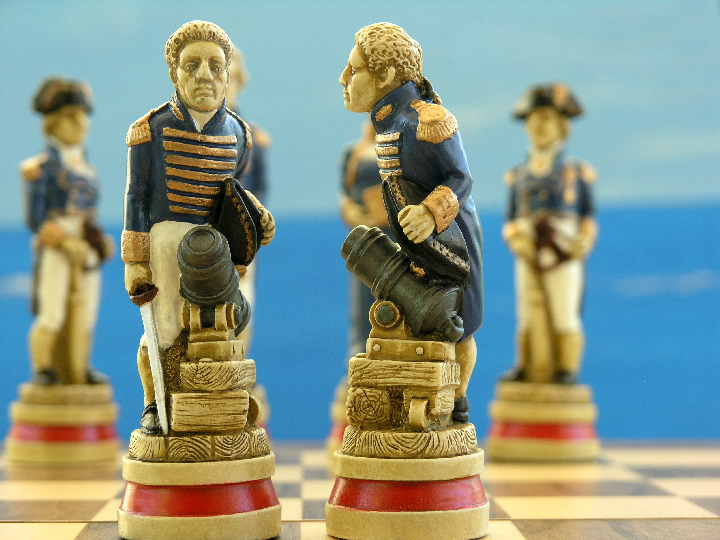 In the course of a short October afternoon, the Combined Fleet of France and Spain, with 33 battleships, was defeated by a British force of 27 battleships off cape Trafalgar, on the south-west coast of Spain. 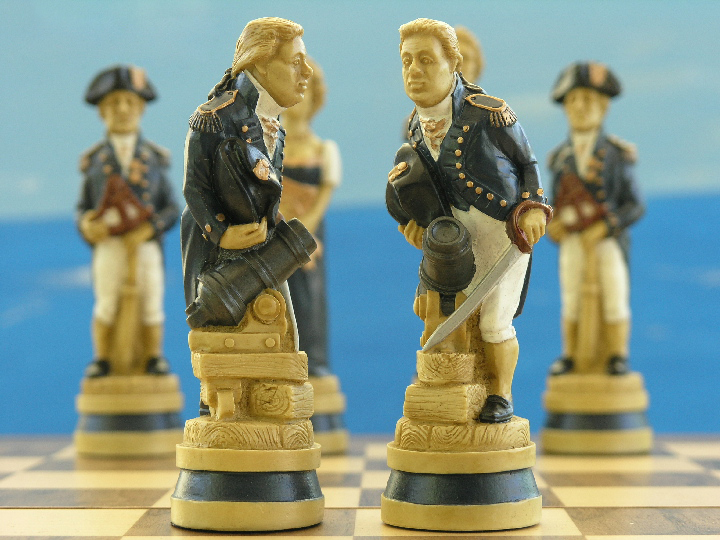 This chess set is dedicated to the memory of all those who fought with Nelson, and against him, in a battle where every individual appeared a hero according to Vice Admiral Cuthbert Collingwood. 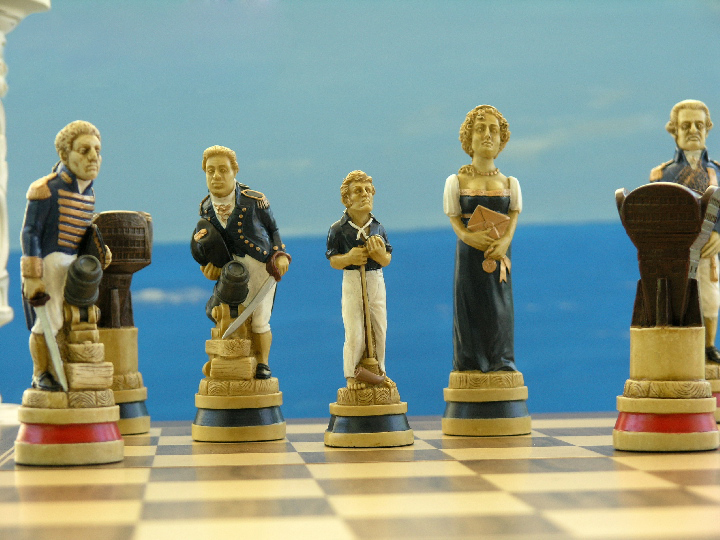 The chess set here has recreated the atmosphere of the great battle and is a successful creation for the genre.